The Subpriory of Our Lady of Lourdes was established in 2006 by H.M.E.H., Frá Andrew Bertie, the Grand Master, with approval by the Sovereign Council. 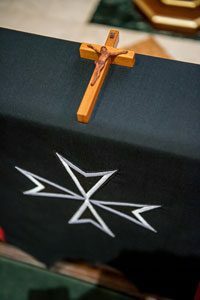 There are two subpriories in the United States, the first being the Subpriory of Our Lady of Philermo, founded in 2002 and whose territory is that of the Western Association of the Order of Malta. The territory of the Subpriory of Our Lady of Lourdes encompasses that of both the American and Federal Associations. We in the Subpriory of Our Lady of Lourdes, following our Confreres and Consoeurs in the Subpriory of Our Lady of Philermo, wish to assist our Members, Knights of Justice and Knights and Dames in Obedience, in fulfilling their spiritual obligations and in being a strong, shining light to members of the Third Class in the development and practice of their charism and spirituality. 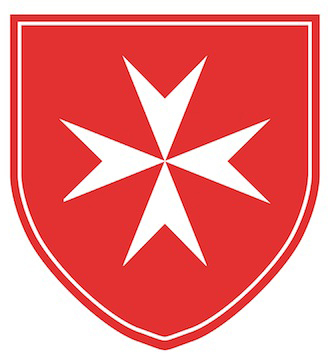 We are particularly grateful to the Grand Master and the Sovereign Council, for promulgating in 2011 the “Regulations and Commentary on of the Order of Malta,” especially the Sections on the First and Second Class. We are asking the Members of our Subpriory to review and study these excellent guidelines for the Subpriory and its mission and procedures. We continue to reflect upon these regulations at our Subpriory and Association meetings and retreats.